Tea and Talks has come to a close for now. Many thanks to Salli for all the wonderful cake and interesting speakers! ‘Deaf Awareness’ – a presentation by sign language native Lisa (accompanied by an interpreter). July 6th: History through a Window by local historian Matthew Hyde. How very English – afternoon tea (Earl Grey no less), lashings of cake and cream plus a scientific discourse to stimulate the grey matter. 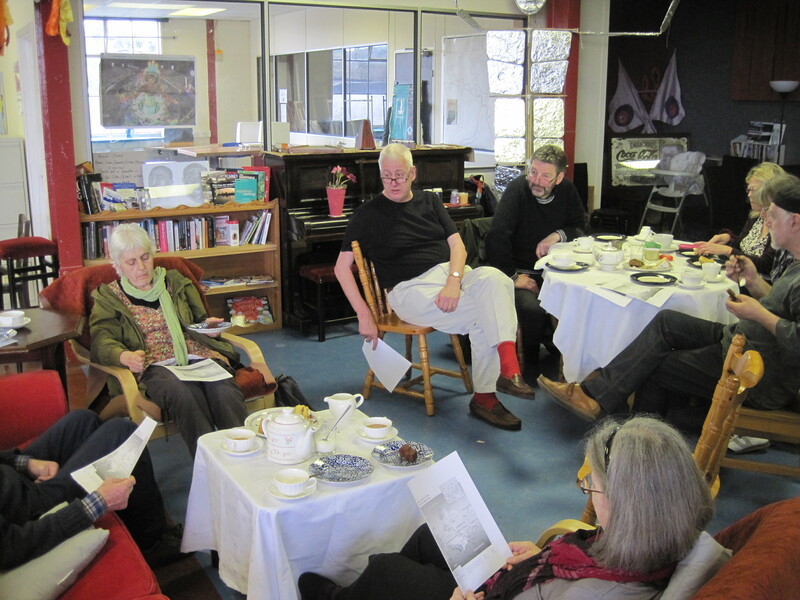 Not the Lit and Phil or the Royal Society but the May “Tea and Talk” at Macclesfield Community ArtSpace. Dr Megan Argo, astrophysicist from Jodrell Bank (megan.argo@gmail.com and @AstroMeg) amazed and wowed us with a brief traverse across the universe taking in the processes of stars being born then dying and galaxies forming and then colliding all with some stunning illustrations from optical and radio telescopes – our heads were spinning (like the stars it seems) – only the tea and cakes kept us down to earth! We were assured that although our own sun will die and the Milky Way (our very own galaxy) will collide with the Andromeda Galaxy (yes, we’re doomed, all doomed!) we have anything between 5 and 10 billion years to wait – so no need to programme it into your Smart Phone just yet ! Quite apart from all these long term hazards there is also the not impossible prospect of falling into a black hole (all galaxies have one at the centre) so there is no escape even if we master intergalactic space travel. We face the prospect of being stretched to infinity in a few seconds – the trick is apparently to just stay at the rim of the black hole and not enter it…..simples…..all we need is a Tardis ! 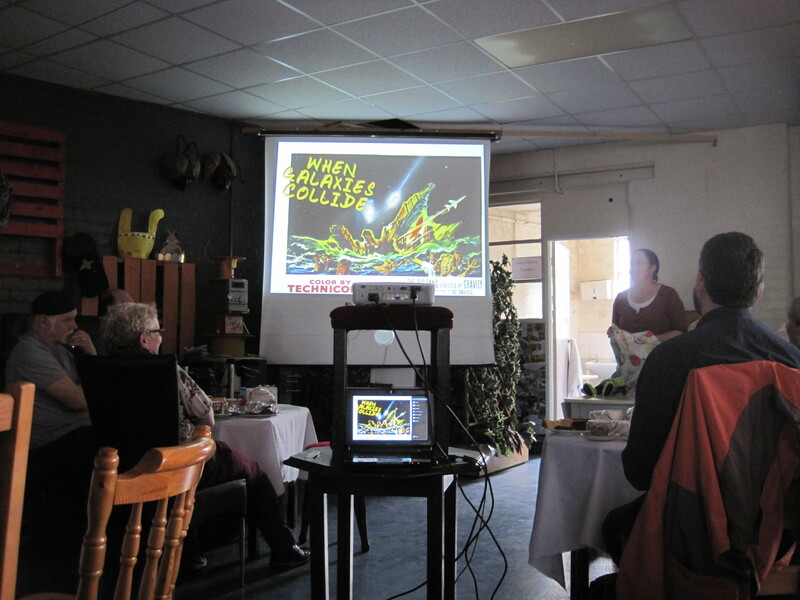 After all that astrophysics the tea and cakes were devoured with enthusiasm born of genuine scientific inquiry – something to do with mass, gravity and (Art)space.